I wanted to write this article based off of my personal opinion, but I thought that might be biased, given that I am a big Robert De Niro fan...I might just cramp the top 5 with mostly De Niro movies. So this is what I did...I went on IMDB.COM, and searched through the dozens of gangster movies that are rated on the website, and picked the top 10 gangster movies with the highest ratings. Please note that these ratings are based off of individual ratings done by thousands of IMDB users all over the world. Being one of the top 10 movie websites in the world, I thought this would be the closest representation of what the people consider the top 10 gangster movies of all time. 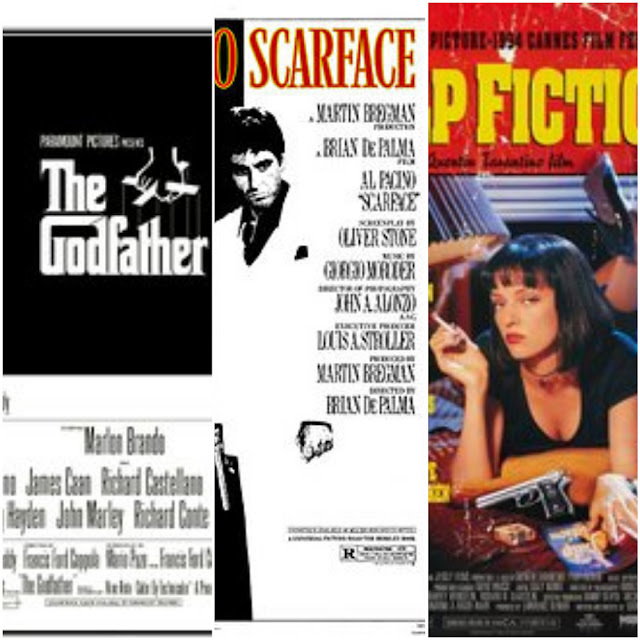 So, below is a list of the top ten gangster movies of all time, based on IMDB ratings. This is one of my all time favorites, and I am sure many people's favorite as well. I still watch this over and over every chance I get, and I never get tired of it. 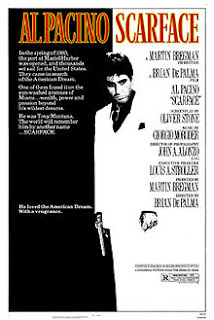 Even though The Godfather was the movie that brought Al Pacino to limelight, this is the movie majority of casual movie watchers remember him for. Set in the 80s, Tony Montana (Al Pacino) and his friend, Manny (Steven Bauer) travel to America from Cuba for a better life. After working tirelessly at a roadside diner, they decide they had to be more to the American dream than the life they were living. And they went searching for ways to make fast money, till they got into the drug business. A very ambitious Tony always wanted more, and with that attitude, he worked his way to the top. The movie also stars a young Michelle Pfieffer. It was written by Oliver Stone, and directed by Brian De Palma. It was released in 1983. I still haven't been able to lay my hands on this movie, so I have very little to say about it. I guess I will stop searching for it, and it would probably come to me at a time I would appreciate it the most. It is a gangster movie set in 1960s America that chronicles the life of an Italian mob boss (played by Robert De Niro) in New York. It was released in 1984. Another great gangster movie I am yet to watch in full. I always end up leaving for a meeting, or having to attend to something urgent every time I try to watch this movie from beginning to end. It is Quentin Tarantino's feature-length debut movie, and was released in 1992. It depicts the events, before and after a diamond heist that went wrong. The major actors in the movie include; Michael Madsen, Harvey Keitel, Tim Roth, Chris Penn, Steve Buscemi and a host of others. When I first saw the poster for this movie, I was excited at the number of big names that were going to be in it, and I was also scared that egos would clash during filming, and the movie wouldn't come out right; I was wrong. The movie has a great twist to it that I love; there is a mole planted in the law enforcement side by the mob boss (Frank Costello- played by Jack Nicholson), and there is also a mole fixed into the mob by the law enforcement agency...now, the big question is, who would turn. 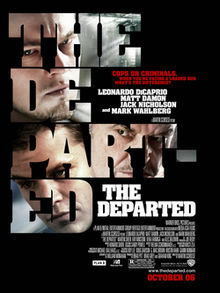 Directed by the legendary Martin Scorsese, with A list actors like Matt Damon, Leonardo DiCaprio, Martin Sheen, Mark Wahlberg, and Alec Baldwin. It was released in 2006. I would never forget that year cos it was the year I got out of the University, and had a lot of time for movie watching. I watched this movie for the first time earlier this year, and I am wondering how I missed such a great movie when it was released in 1994. 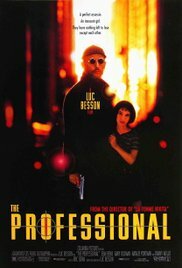 The plot goes thus- a professional assassin named Leon (played by Jean Reno) takes a 12 year old girl (Natalie Portman) into custody after her whole family is killed by a dirty cop. They are on the run in most part of the movie, and they develop a very weird but innocent adult and minor relationship along the line. 13 year old Natalie Portman gave a great performance in this movie. Another movie on the list I am yet to see. The movie was released in 2002, and it is about the life of two friends growing up in a rough neighborhood and taking different paths; one became a drug dealer, and the other became a photographer. 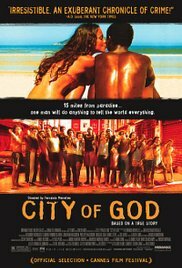 The movie is a Brazilian film, so there are no known actors here, but the movie has gotten great reviews from movie critics since it was released 14 years ago. I think this is kinda like my least favorite Robert De Niro and Joe Pesci movie; I prefer Casino (1995) to this, but this movie is more about Ray Liotta's character (Henry Hill) anyway. The movie was released in 1990, and directed by De Niro's long time friend, Martin Scorsese. 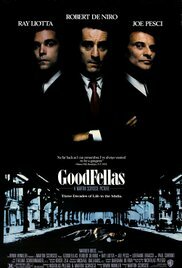 The movie focuses on the lives of Henry (Ray Liotta), James (Robert De Niro), Tommy (Joe Pesci), the robbery that ties them together, and betrayal that comes afterwards. 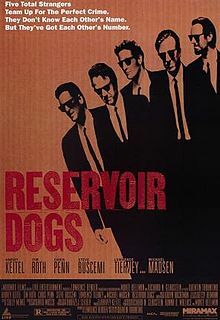 After the critical acclaim of 1992's Reservoir Dogs, Quentin Tarantino came back even stronger with this movie in 1994. Its stars John Travolta, Samuel L. Jackson, Uma Thurman, Tim Roth, Bruce Willis and a host of other actors. The movie is about how the lives of a couple of diner bandits, a boxer, a gangster's wife, and two mob hit-men intertwine. The ultimate...it is only right that this movie is top 2. 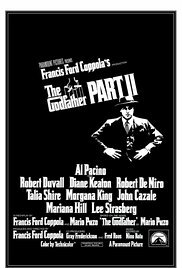 The Godfather 2 is the continuation of The Godfather 1, and has a lot of flashbacks from how it all started with Don Corleone in Sicily, before he came over to America to build his mafia empire. 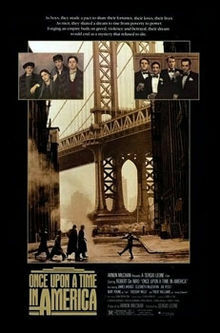 Robert De Niro actually won his first Oscar for the portrayal of the young Don Vito Corleone in this movie. 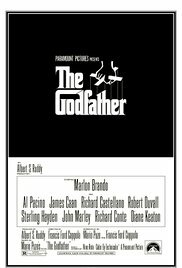 The movie was released in 1974, and it was directed by Francis Ford Coppola, based on the novel/screenplay by Mario Puzo. Based on the novel/screenplay by Mario Puzo, a lot of people consider The Godfather the best gangster movie ever made. Well, if you could make part one and two into one movie (and hide the third part), then I can agree with that. The plot is really cool, and the acting from Al Pacino, and Marlon Brando is top notch. The movie is about the individual lives of the Corleone family members, betrayals from inside and outside the family, and how they are handled by Don Vito Corleone (Marlon Brando) and his sons, Michael Corleone (Al Pacino), and Sonny Corleone (James Caan). Honorary mentions include- King of New York, Blow, Heat, American Gangster, Gangs of New York, Ronin, The Untouchables, Menace to the Society, New Jack City, and Blood in, Blood Out.